We mostly line our lips to define the perimeter or cheat them to appear slightly exaggerated. But in doing so, we aren’t doing ourselves any favors as the night goes on and the lipstick comes off! 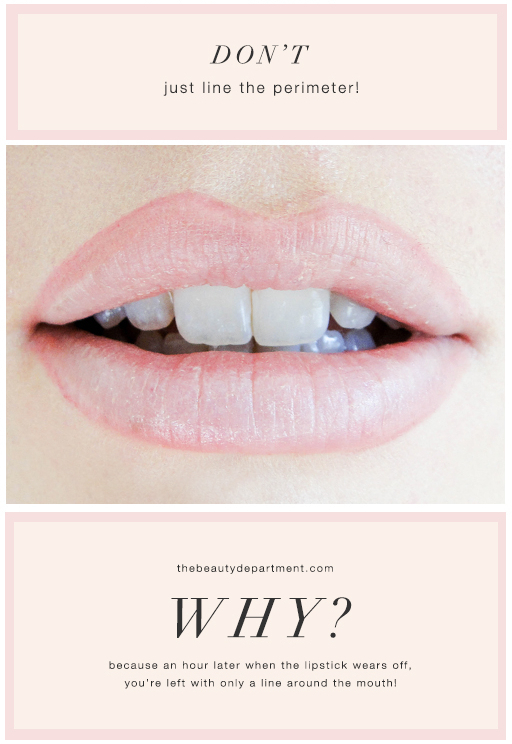 Because a lot of the time, we’re left with only the lined lip! To avoid that but still define the perimeter, try this! Your Favorite Lip Pencil — I used this one ($$) in Dervish but also love this drug-store version ($). Your Favorite Lipstick — Emily is wearing this one ($$) in Pretty Please but I also live in this budget-friendly longwear version ($). Line the perimeter as you typically would. Now start filling in the inside two-thirds of the way in. Note: I like to leave the inner third bare so it creates a little illusion of depth = fuller lips. But you can certainly fill in the entire lip! Then finish with a coat of lipstick using a lip brush for precision or straight from the tube for convenience. 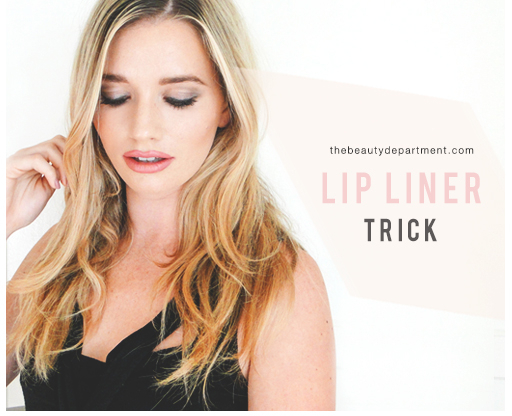 This way, as time wears on and the lipstick wears off, you have less of a “line” left over! Note: I exaggerated her lip perimeter slightly for photographic purposes.